I spent some very pleasant time this afternoon with Larry Coben, a man who seems to spend most his life making the world a better place by globetrotting around sites of extreme architectural interest. Nice job that man! His Sustainable Preservation Initiative is all about taking architectural sites in poor countries and making them generate cash for the locals — thereby giving them a real monetary incentive (rather than a high-minded lecture) aimed at preserving archeological treasures. It’s “economic development in an archeological guise,” he likes to say. A lot of the money comes from tourism, in communities where a little tourism money can go a very long way. You can start with simple admission fees, but then scale into all manner of other money-making schemes: replica handicrafts, for instance, or even, in the case of one site in Armenia, making wine as the ancients did. There’s a huge amount of opportunity here, says Coben: “I’ll be dead before we’re through the low-hanging fruit”, he reckons, just because the costs of these schemes are low (in the $10,000 to $30,000 range) and the number of possible architectural sites is enormous. The slogan of his organization is “saving sites by transforming lives”. One intriguing aspect of Coben’s initiative is its use of debt finance: he wants the schemes, where possible, to take not only grant money from donors but also to borrow funds from local microlenders. Having to pay back a loan is “a great discipline”, he says — and when microlenders are invested and want to get their money back, they also act as semi-formal overseers of the project, obviating a large amount of the need for foreign donors to keep an eye on things. Essentially, Coben is outsourcing supervision of the projects, and recycling funds into the community at the same time. He does intend to keep a substantial equity stake in the projects, just so that he can intervene if things go wrong, but at no point will dividend any money out of the local community. Coben’s starting out with one project in Peru as well as the one in Armenia; he’s already demonstrated what’s possible with a similar scheme he organized himself in Bolivia, which involved little more, at the outset, than simply putting up a toll gate. The universe of architectural tourists isn’t particularly large, but it doesn’t need to be: just a handful of tourists per day, paying maybe $10 apiece, can transform the economics of many remote villages. That’s the kind of money, as a tourist, that you want to spend — as opposed to huge luxury-hotel bills most of which go straight to multinational corporations. This is a great idea, and I hope that it really takes off. Even the worst-case scenario — where the projects fail — is a significant improvement on not trying at all. 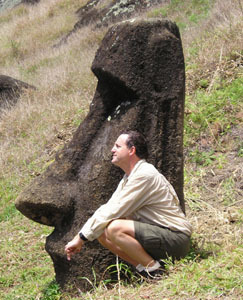 Larry Coben is an archaeologist affiliated with the University of Pennsylvania and a member of the AIA’s Site Preservation Committee. He was most recently the director of Proyecto Inkallakta, a multidisciplinary project at the monumental Inka site of that name in Bolivia. Coben is also the founder, chairman and CEO of Tremisis Energy Corporation, a company that purchases and invests businesses in the energy and environmental sectors, and has served as CEO of both public and private companies. He is a director of NRG Energy, an electricity-generation company, and SAESA, a Chilean utility, and was a director of Prisma Energy, the post-bankruptcy filing successor company to Enron that held its international assets. Mr. Coben has published numerous articles on various aspects of both archaeology and energy. More on Mr. Coben can be found on his archaeology web page and his Huffington Post energy blog. 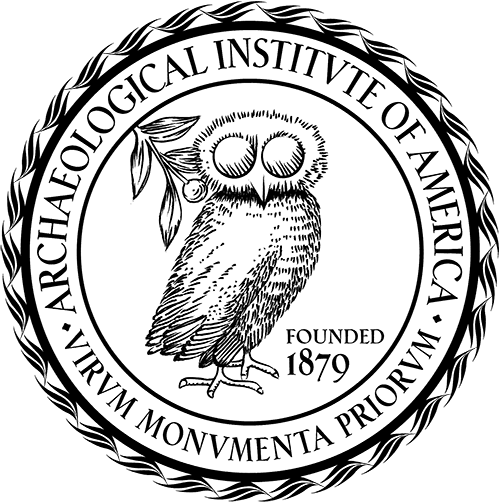 The Sustainable Preservation Initiative is a program of the Cotsen Institute of Archaeology at UCLA and the Archaeological Institute of America, which seeks to save and preserve the world's cultural heritage by providing transformative and sustainable economic opportunities to local communities. Larry Coben is the Executive Director of the Site Preservation Initiative.